Many people contact me about walking in the Pyrenees so I have put together a FAQ about the Senda Pirenaica (GR11) here. See also my FAQ on the French GR10. If you don’t find the answer to your question please feel free to add a comment. Which walk? GR10, GR11 or HRP? The Pyrenean Way, the French GR10, the northernmost route, from Hendaye to Banyuls. The most venerable of the three options, it has been refined over the decades and manned hostels are available for most of the trek. The Haute Route Pyrénéenne (HRP), in the middle and so higher up, also from Hendaye to Banyuls. Sticking as it does close to the ridge, the HRP reduces the amount of climbing and distance to a minimum but it is still the most difficult option. The waymarking is sparse, some of the sections are technically challenging, and snow is more of a problem. This is the route for the walker who wants to be alone. Although the landscape is more natural than the other two options, this does not mean that walkers will necessarily see more animals. The Senda Pirenaica, the Spanish GR11, to the south, from the Cabo Higuer to the Cap de Creus. Although on the southern side of the Pyrenees, I do not believe this makes it any dryer than the GR10, as some claim. The GR10 has only one pass at over 2500m; on the GR11 there are a ten. Snow can be a problem in the central sections right into the first week of July. the Spanish GR1 the Sendero Historico, even lower, from Ampurias on the Mediterranean to Finisterre on the Atlantic. For the challenge of walking across a continent, taking in an entire range of mountains. The Senda Pirenaica is a classic walk and – as long as the snow has melted – not technically difficult. Each new dawn brings new scenery, unlike the Pacific Coast Trail – or so I am told – where the stagehands may go on strike for days on end. The countryside is varied. In the Basque country and Navarre the sumptuous rolling hills are parcelled up by hedges and punctuated by pretty stone-built villages. But as the Senda forges eastwards and steps into Aragon the vertical scale stretches; torrents crash through dramatic gorges. Viewed from above, the Ordesa and Añisclo canyons in the Monte Perdido National Park seem exaggerated. The villages are replaced by lonely hostels. Then in Catalonia the route weaves through a string of lakes in the Aigüestortes National Park before slipping briefly into shopping mode in Andorra, a whole country which can be crossed in four days. Afterwards the heat is turned up and splashes from the Mediterranean appear: fig trees, cork oaks, rosemary, cacti, vines. In the central sections the Senda is steep, very occasionally vertiginous, but it is not rock climbing. There is nothing that will frighten an experienced walker once the snow has melted (see What is the best time of year). In the interests of balance, you may like to read German Tourist’s less enthusiastic account of her GR 11 trip. The animal population includes the kind of fauna that George Monbiot (Feral) loves and the kind that he hates. 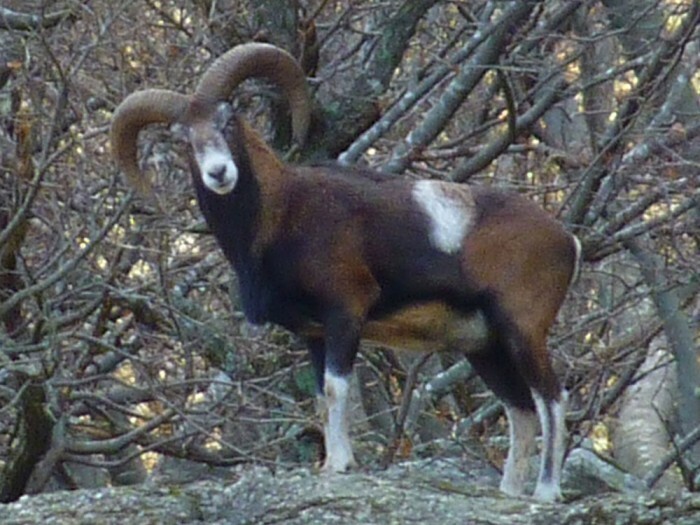 In the ‘love’ category the Pyrenees are the home to wild boar, wolves, and bears. Any half-awake walker will spot tracks of wild boar or zones where they have grubbed up the soil in search of roots, but may not see the beasts themselves. On the other hand given the limited number of bears (30 in 2015) and wolves (probably about the same) hikers are unlikely to come face-to-face with them. Of the 523 bear encounters since 1996, in 414 cases the bear simply went away peacefully. Only eleven cases of aggression are recorded, and in every instance it was a female accompanied by cubs and surprised at a short distance. The typical tactic was to charge to demonstrate her potential and then flee. Nobody has died as a result of a bear attack in the Pyrenees since the 19th century. In America walking sites suggest carrying a pepper spray but I don’t know anyone here who bothers. 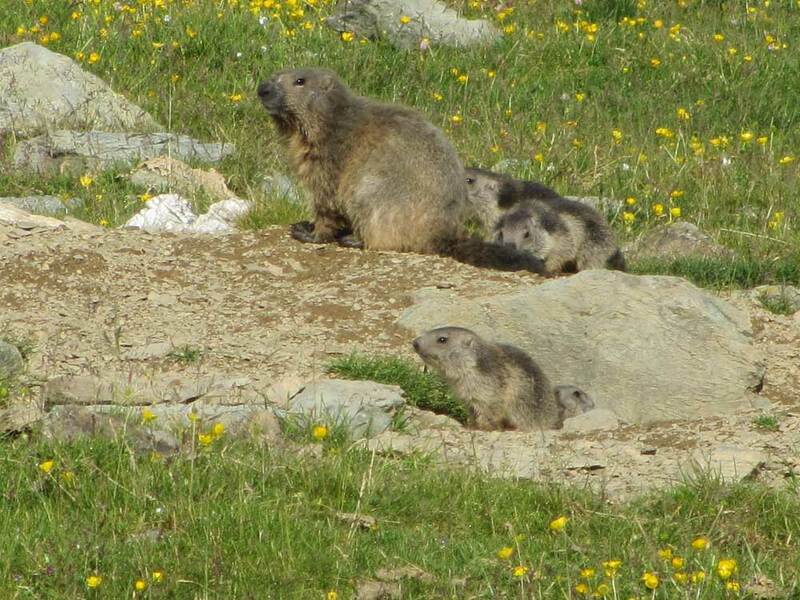 They are certainly less exciting, but everybody will see marmottes and sarrios (also known as rebecos or isards). 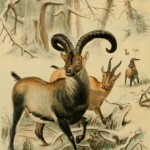 In the last two years the chances of spotting an ibex have increased infinitely (from a starting point of zero) but with a population of only 100, mostly on the other side of the watershed, the probability is still not very high. 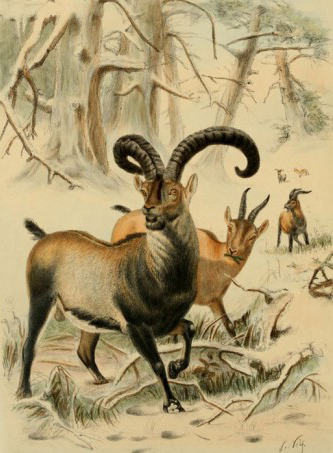 At a distance, male ibex with their extravagant curved horns, can potentially be confused with mouflons but for the moment they have different distributions, the central Pyrenees and Ariège on the one hand and Catalonia on the other. In the sky the most readily identifiable bird is the buitre (Griffon vulture) followed by the red kite. Golden eagles are present as are Lammergeier (bearded) vultures. 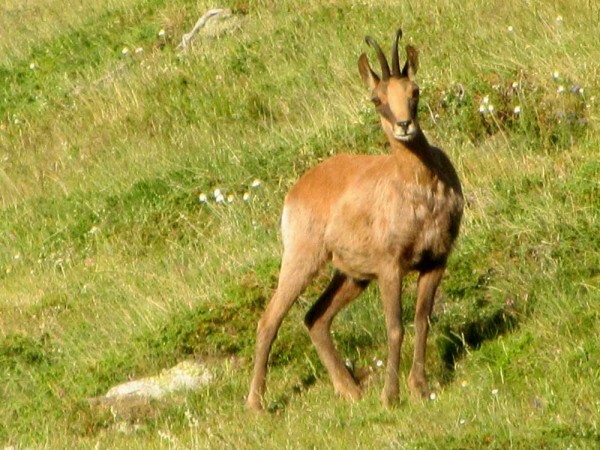 These quebrantahuesos, as they are called in Spanish, can be seen regularly near a dedicated feeding site near Escuain on the GR15 (just south of Góriz). As for the kind of fauna that Monbiot hates – sheep – the sound of their tinkling bells is one of the joys of summer walking. 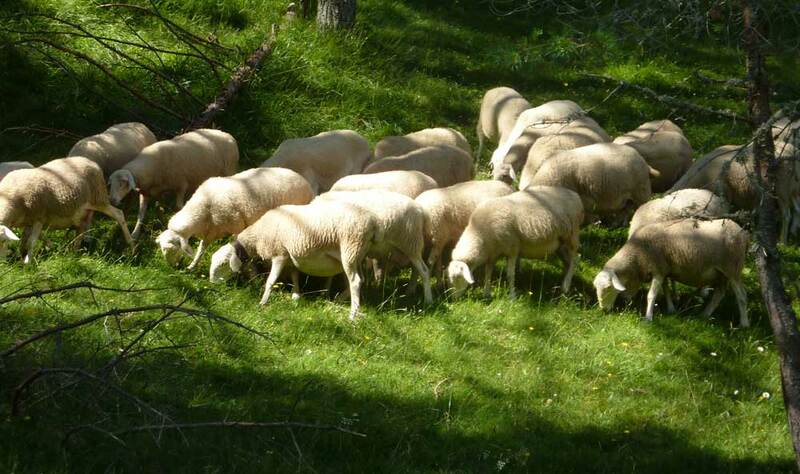 In the Pyrenees sheep rearing is a major occupation but not so intensive that the landscape has suffered the effects of overgrazing. As far as I can make out, there are no restrictions on taking a dog on the GR11 as long as it is on a lead and has its passport and vaccination certificates. For a more detailed discussion see walking with a dog in the Pyrenees. Walkers without crampons and an ice axe are more-or-less limited to July to September for the central sections. The first high pass walking from the west is Cuello del Infierno (2722m) between Respomuso and Baños de Panticosa on about Day 13 (see GR11 map). The first walking from the east is Noucreus (2800m) on about Day 8. Noucreus (2800m). The crosses remember those who died here in the torb. Snow stays on these passes until at least 14 June and for up to three weeks later. At the other end of the season, snow starts again mid-October. So the earliest date for through-hikers starting from the Hondarribia is 1 June, or 7 June starting from the Cap de Creus. For reliable mountain forecasts (in Spanish) see aemet.es. Relativity was invented for the Pyrenees: time and space don’t have the same values as on the plain. Distance becomes time. Nobody talks in terms of how far they have walked, but how long it has taken. In the central Pyrenees, the Senda soars roughly 1000m every day to join the vultures and then dives down again in search of a nest for the night. Like climbing Scafell Pike in England from sea level, every day. The distance covered is trivial – perhaps 15km, but still it takes 6-8 hours. Once in the mountains, count one hour for 300m of climbing and one hour for 500m of descent, irrespective of the distance. In many areas of Northern Europe the rain may arrive at any time of day and the Pyrenees are also affected by rainy fronts which wash over them from west to east in about three days. But here in summer (June-September) the weather follows a marked diurnal pattern. At dawn the grass will be soaking and hills covered in cloud but as the morning progresses the sun will make an appearance and evaporate the humidity. By 15:00 the clouds will start to gather again and the thunderstorm will start from 16:00 onwards. Sometimes only two hours will separate a clear sky and the storm. So start walking at dawn. Whilst there is a distinct difference walking the Pyrenean Way (GR10) one way or the other – go west to east if you want to be sociable – on the Senda the same number of people walk in each direction. As the wind mostly blows from the west, walking west to east will give you the rain and wind on your back rather than in your face. On the other hand you will occasionally be blinded by the sun in the morning. The GR11 goes in for ‘mountain high’ much more than the Pyrenean Way. 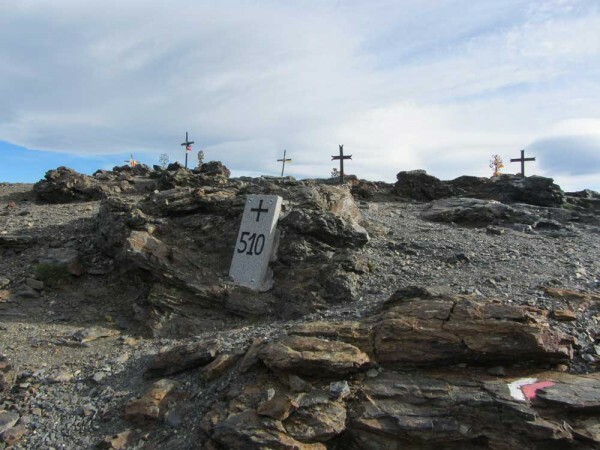 The central portion – 540km from Isaba to Mollo – only dips below 1000m once (at La Guingueta d’Àneu, 950m). By way of comparison, the Pyrenean Way regularly wipes its boots on grass in the foothills. The highest villages in the Spanish Pyrenees are around 1500–1600m above sea level, the highest trees around 2300m, but above 2500m exposed rock dominates. The Senda Pirenaica can be tough going on a daily basis. Once the batteries have run down, typically after three or four days, they never fully recharge even on days off. Some years I spent months in preparation; sometimes, when I had knee problems, I hardly did any at all. Either way I suffered. If training is to be done, it should involve as much climbing as possible and a full set of kit. Apart from planning overnight stops, the most important preparation is reducing the contents of the rucksack. I weigh in with 7.1kg on my back, including the rucksack itself, 1.5 litres of water, and 500gm food for the day. That said, I have recently discovered another system of measurement thanks to Jean-Christophe Rufin’s Immortelle Randonnée. Instead of kilograms, count your rucksack in fear: That fleece corresponds to fear of cold: 574fg. That first aid kit: accident (246fg). That mp3 player: boredom (45fg). With careful planning it is possible to stay in a free hut, a staffed hostel, or a cheap hotel every night so a tent is not necessary. On the other hand, wild camping can be a marvellous experience and will certainly save money. For those without tents, free unstaffed huts are a welcome alternative on the more isolated stretches of the Senda. In huts, drinking water is usually available (though not at Talaixà for the present) but no other home comforts. No mattresses, no chairs, no firewood – unless it is abundant in the immediate vicinity – and nothing else made of wood because it would get burnt. One exception to this is the Baiau hut where there are tartan mattresses and wooden furnishings. The hut is very small: body heat takes the place of a fire. As for hotels, in some areas they are unavoidable but even four-star establishments don’t look down at walkers. But the best accommodation on the GR11 is in staffed hostels (refugios, refugis in Catalan). Here walkers are at home. All these hostels provide food, heating, mattresses, blankets, and above all information. Many are far from roads and are supplied by helicopter at the beginning of the season, supplemented by fresh produce which arrives on the back of a mule. Helicoptering costs about 1€/kilo, which accounts for the higher prices and is also the reason walkers must take all their rubbish down with them. For those who don’t know what to expect, here is my list of dos and don’ts. Tell the manager about any dietary requirements when booking and again on arrival. Unfortunate vegetarians are likely to eat rather a lot of omelettes. Everybody else will eat a set menu. Surprisingly, the evening meal in Spanish hostels is usually earlier than in France: 19:00 or 19:30. Take off your boots in the lobby and leave them there. Most hostels provide slippers (often Crocs). In some hostels with little space, rucksacks must stay in the lobby as well. If you wish to leave before breakfast is served next day, arrange this on arrival. Bring a sheet sleeping bag. Expect to pay for hot water if there is any. Expect to pay in cash. Many hostels are off-grid and can’t take credit cards or cheques from another country, even in euros. Don’t expect to be able to use the dormitory before 16:00 and don’t disturb anybody taking a siesta. Don’t make any noise after 22:00. Most walkers will be trying to sleep for an early start. Dormitories are mixed and in some you will find perhaps seven mattresses side-by-side with no space between them; ear plugs are essential. Don’t expect to be able to communicate with your nearest and dearest. Mobile phones only work in some towns and larger villages. Normally hostels will let you use their private phone for booking the next hostel along the route, but not for anything else apart from a real emergency. However, an increasing proportion of hostels have Internet access to deal with bookings (but where they are off-grid it will be satellite and may not be shared). Don’t expect to be able to recharge batteries though it is sometimes possible. 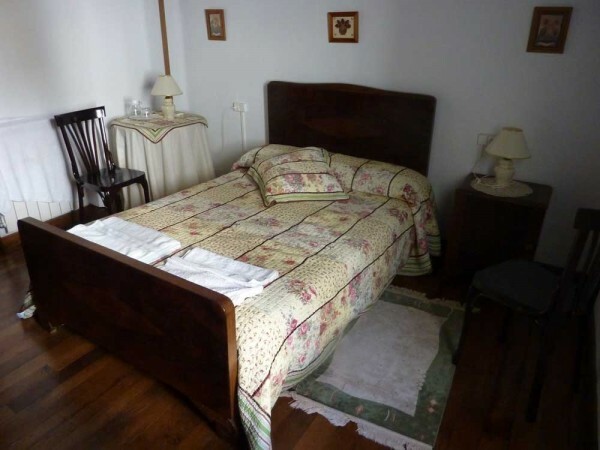 Bed and breakfast is sometimes available in a casa rural. This is a recommended option for discovering how local people really live. 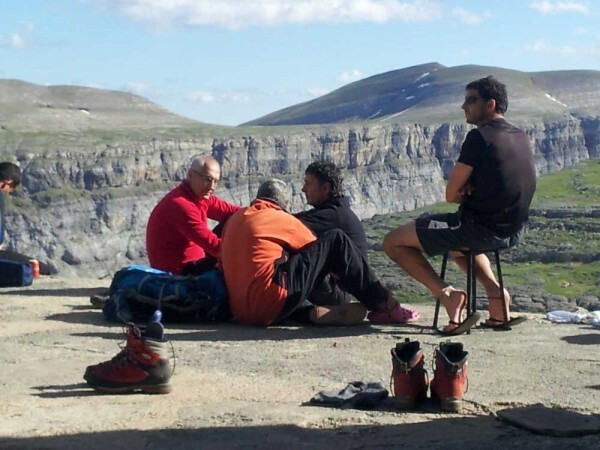 Note that overnight camping is prohibited in National Parks except in the Ordesa Monte Perdido National Park where it is permitted at the Góriz refuge and near the village of Escuain. Book the day before. It is generally considered to be a bad idea to reserve more than two days in advance. The danger is pushing yourself too much or walking in bad weather just to get there on time. On the other hand, hostels and small hotels have limited flexibility and really need to know how many people are likely to turn up so booking is advisable. Excellent listing with map of hostels and huts in the Pyrenees. Reserve a hostel (refugio) in Aragon. Reserve a hostel (refugi) in Catalonia. Refuges in the Spanish Pyrenees charge 40-50€ per night for a bed, evening meal, breakfast, and picnic. Hotels are roughly 10€ more. Campsites cost roughly 8€ per person per night. The Senda is indicated by red-and-white waymarks (trail blazes). Walkers can expect a waymark at least every 200m or so unless the route is obvious. In difficult areas there may be waymarks every 20m! Nevertheless a 1:50,000 or larger scale map or a GPS is essential. A GPS track of my GR11 route (corrected when I occasionally got lost) is available on Wikiloc . Note that I took a shortcut from Requesens to Vilamaniscle via Espolla. Mobile phones do not work in large areas of the Pyrenees and although I have heard of several people with satellite phones nobody seems to manage to get them to work properly. Lone walkers may be reassured to learn that, as long as they stay on the path, they will normally meet at least one or two other walkers in the course of the day. More useful, in terms of a safety net, are the encounters in huts and refuges with people coming in the other direction. Unfortunately trail books are unknown. Start walking at dawn (before 6:00) as much as possible. Apart from giving time to get lost and found again before dark (21:00) it should ensure your arrival before the thunderstorm (from 16:00 onwards). I plan to be in Spain in early October and I’m interested in a 2-3 day walk along the GR11 with 3 friends. We are all in late 50’s, relatively healthy (but I’m carrying some extra weight). We won’t have serious hiking gear and would prefer to be able to walk between villages with hotels. We will be coming from Barcelona. Can you recommend a section to consider? Any specific hotels? At that time of year you would be best off near the Mediterranean. One possibility would be from Cadaques via the Cap de Creus (start of the GR11, bar, restaurant – you could get a taxi to here) to Port de la Selva (1st stop). From there to Llança (2nd night) via the Monastery of San Pere de Rodes (restaurant). This is quite a long climb up (1600ft), but worth it for the views and you get a rest at the Monastery. However town shoes will not be adequate. Further along the GR11 gets more difficult. You might like to consider instead a base in Olot or Santa Pau (inland, not part of the Pyrenees but pretty) and walk from there each day. I have 2 weeks with my partner for my 29th birthday to walk a section on the GR11 in early May this year, we’re aiming to stay in hostels/refuges/BnBs etc along the way and are not planning on bringing a tent. We won’t have crampons and ice axes either. Where would you recommend we go and walk from and do we need to book hostels in advance? We’re flying into Barcelona. At the beginning of May there will still be snow in the Pyrenees above 2200m. Since you are arriving in Barcelona your best bet is to start at the coast and work inland. There is no need to carry a tent on the GR11 – I didn’t – but you do need to plan carefully. Day 1 To Port de la Selva (via the start of the GR11 at the Cap de Creus) Lots of accommodation. Take a taxi to the Cap de Creus if you are feeling lazy. Day 3 To Vilamaniscle where there is now a hotel, Mas Vivent, though it is rather expensive. There used to be a campsite with bungalows but I don’t know if it will be open. Alternatively you can push on to Espolla (long day) and stay at the Can Salas (recommended). You will need to go to one of the restaurants for the evening meal. Note that this is a variant which cuts out a loop on the GR11 with no accommodation. Day 4 Potentially you could stay in the farm at Requesens and cook your own food. The hostel is part of the farm and just next to the bar/restaurant, though there are absolutely no signs! It is very basic but there are cooking facilities. You need to ask in the bar, open from 13h30. I don’t think you can book in advance. However you will probably want to push on to La Jonquera. La Jonquera is a dump but has lots of hotels and restaurants. Day 5 To Maçanet de Cabrenys (not to be confused with Maçanet de la Selva). Various possibilities. Day 6 To Camping Bassegoda Park just beyond Albanya. This too has bungalows. Day 7 To Talaixa. This is an unmanned hut with no cooking facilities, no heating, just two bunk beds with old mattresses. Plenty of wood for making a fire though. You need to bring water up from the spring in Sant Aniol d’Aguja. The situation is wonderful though. Day 8 To Beget. Stay in the Hostal El Forn. A good place to have a rest day. Day 9 To Molló. Hotels. You could probably get as far as Setcases in one day. Day 10 To Setcases. Hotels. Day 11 To Ulldeter refuge. 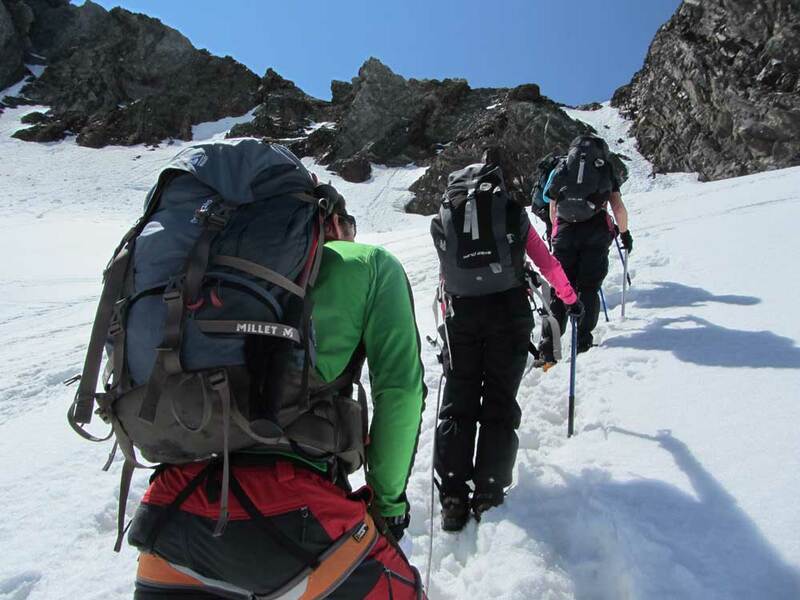 You won’t get further than this without crampons as the next day the GR11 trek goes up to 2900m. Monday 1 May is a public holiday so you will need to book for then but for the rest just book the more isolated accommodation where you won’t have any choice. Let me know if you need any more info. Happy Brithday! Thanks ever so much Steve, such great information! You really are providing such a useful resource, enabling people to discover beautiful and interesting parts if the world. Thanks so much for the breakdown, a valuable reference! Having read your reply, I am wondering if i’m being too ambitious, if the type of walking will be intense and whether i’ll worry about places to stay for the night if we’re not on schedule. Out of curiosity, if your experience permits, I wonder if you recommend any of the other Spanish walking routes for a more moderate long distance trek, linked up by hostels? In that case try the GR92, starting in Portbou and working south. It is practically flat and May would be a great time to see the flowers. More romantic than the GR11 at that time of year. My husband and I are planning on hiking part of the GR11 in September. We would like to hike 10-14 days. Any suggestion on the best part to hike? We are in good shape and plan to stay in huts if possible. Also would probably need public transportation or taxis to get to and from the route. There is no need for a tent on the GR11 as long as you plan carefully and September is a good month because there shouldn’t be any snow. Most of the hostels will still be open. Depending on which section you walk you may need to stay in unmanned huts – which can be basic, though often in magnificent surroundings. So your choice of section probably depends mostly on access (where are you coming from? ), experience (how much mountain walking have you done (over 1500m)?) and if you have done multi-day hikes before. Let me know these factors and I’ll try to advise. We are coming from Barcelona. We have done a fair amount of mountain walking and several multi day hikes. We did the Stubai and Alta via 2 last year and have done lots of multi day treks in the UK (not much altitude there). We live in SLC, UT and are used to altitude. Appreciate any advise. Since you are going to be in Barcelona the choice is easy: take the train to Puigcerdà and walk to the Cap de Creus. If you then continue to Rosas you should be able to get a bus back. Or walk back to Llança (along the coast). Planoles to Núria: the GR goes down to Queralbs but you can cut off the corner easily. Núria: stay in the Youth Hostel but eat in the restaurant (all you can eat buffet). Núria to Ulldeter: magnificent high level walk (up to 2900m). Hut mid-way. Bassegoda camping has bungalows. There is no accommodation in Albanya itself. La Vajol has a municipal hostel as well as the apartments at Ca la Conxita. La Jonquera is ugly but has hotels. Apparently there is a basic hostel available for walkers. You have to go to the police station and ask for the key. When you see La Jonquera you will understand why. Requesens. There is a hostel here, though you wouldn’t know it! Ask at the restaurant (open 13h30-16h30). The hostel is self-catering and basic though it has a surprisingly good cooker. There is an even more basic hut 2km further on, at the Forn de Calc. Vilamaniscle used to have a campsite with bungalows though I haven’t been able to find any info recently. There is an expensive hotel. I recommend taking a short cut to Espolla and staying in Can Salas. i’ve been looking through your excellent website on the Pyrenees. I am planning on through walking the GR11 this summer and i have a question about bears……do they pose anything of a threat to walkers? I will obviously be carrying food with me – would it be ok to have it in the tent with me overnight, or should i be more cautious than that? In the official bear report for 2016 a “minimum” of 39 bears were noted in the Pyrenees. Most of these are in Ariege, France. 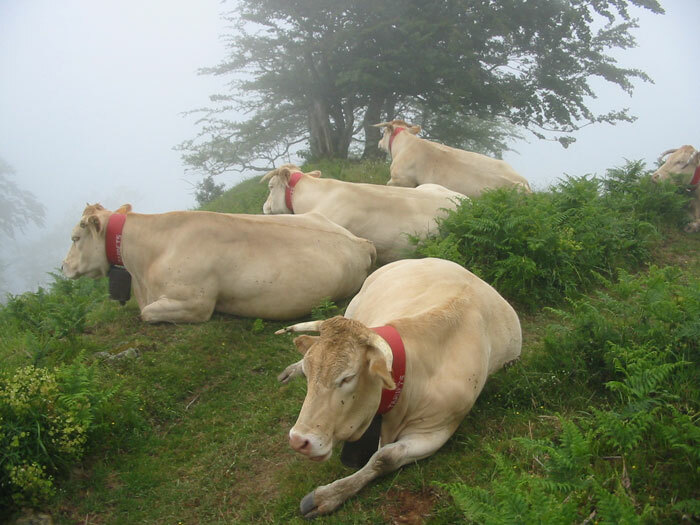 The Pyrenean Biodiversity Strategy, in the section on bears, reports 181 encounters between 1996 and 2010. In only four instances did the bear charge the observer. There were no injuries: after having made her point the bear then went away. There have been no deaths due to bears in the Pyrenees for 150 years. I don’t know of anyone who takes special precautions. Of course past statistics are not necessarily a guide to the future, but you are much more likely to be injured by an accidental fall than by a bear. According to all reports (from America) the best thing to have to hand if you encounter bruin is bear spray. Hello, I am planning to walk the HRP this summer! I was wondering where did you start and how did you go there? Furthermore, I would like to camp. Is it easy to find a good place and is camping allowed? Moreover, how is it with thunder and lightning? Did you often experienced this? Last year I hiked the Mont Blanc which was amazing but sometimes the thunder and lightning frightened me. I started in Hendaye. I’m not sure if you have seen my posts on walking the HRP but they tell the story briefly. You can get to Hendaye on the train, or fly into Biarritz or Hordarribia. Yes it is easy to camp (though there are restrictions in National Parks). As for thunder and lightning, most storms in the Pyrenees happen in the early evening, so plan to arrive at your destination by 16h00. Usually this means getting up at dawn and walking in the cool of the morning. You may want to plan your trip so that you camp next to a hut, just in case the weather is bad, see this map of huts and refuges in the Pyrenees. My husband and I are planning on hiking 5-6 days in the last week of June. My parents will be in Cadaques and we’d like to end up close to them but aren’t sure if the last 5 segments are the best in the region. We’d be so grateful if you could recommend a set of 5 or 6 segments to do on the GR-11 towards the end, on the eastern side. We are in good shape and love wild camping. I’m so grateful for your experience! Since you love wild camping I would suggest you start further inland and aim for Núria (you can then get a train back). (You could start at Núria and walk towards the coast but after the first day it would be all downhill!) Starting at La Jonquera you should be able to get that far. 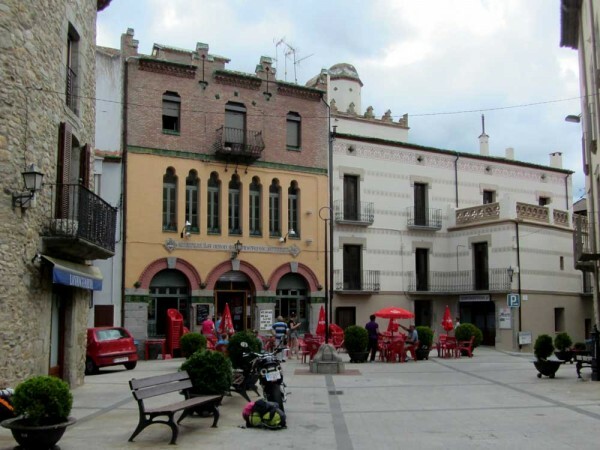 The nearest train station in Spain is Figueras but you will be able to get a taxi from there. Firstly, thanks for providing this website – its really interesting and useful. I want to walk the entire GR11 from east to west starting around May22 and I need to spend as little money as possible (ie: only buy food for cooking not accomodation). Yourself and others recommend not carrying tents but are there free huts along the whole route? From what I can gather thy might exist only in the higher bits. I’m guessing I’d need to take a tent to economise..I actually enjoy wild camping so its not a problem for me – But is it feasible/legal to do that along the whole route? If wild camping where would you start..still cap de creuces? What are the longest sections where its not possible to restock on provisions (i guess from village shops)? Very grateful for any advice. I’m glad you find the site useful. Firstly, about the date. Can you possibly start later? It is snowing today on the mountains; some of the snow will persist and it will certainly be very cold at night at 1500m at the end of May (around zero centigrade). The day between Ulldeter and Núria (Day 9 about) is up at 2900m. There are many free huts you can use. The best site for these is Refuges et cabanes des Pyrenees (in French) http://www.pyrenees-refuges.com. Unfortunately for you the site concentrates on the mountains and the French side, and although there are free huts lower down they are not all marked. For example, just before you arrive at Requesens there is a free hut at the Forn de Calc (lime kiln). This is visible from the GR11. I can make further suggestions if you need them. There are plenty of other huts and sheds in the lowlands but these are private property. So if you can’t afford to pay for accommodation you are going to need a tent or at least a bivvy bag. Probably the most important thing is a good sleeping bag. Another thing I have found useful is an emergency blanket in the shape of a sleeping bag – much better for keeping warm than a simple blanket. As for shops, village shops are rare. Sometimes there are travelling vans but you need to be there at the right time. You will be able to eat in hostels and buy picnics (as long as you tell them in advance); some will sell you provisions. But you need to plan pit stops carefully. Let me know if you need further info. Please post your reply here, not by email, thanks. Me and my friend are planning to hike a part of the GR11 this Summer. We want to spend about 6-7 days walking. Can you help us find a section that’s relatively easy to reach by plane (we’re from the Netherlands)/train/bus, and where we can find some free huts on the way. We have a small budget and cannot really afford to stay in hostels much (one/two would be fine). Are there enough free huts to just bring a good sleeping bag and no tent? And how hard is it to find cheap food on the way? We were planning to go somewhere end July beginning of August. I’m sorry to be so long in replying but I missed your comment. 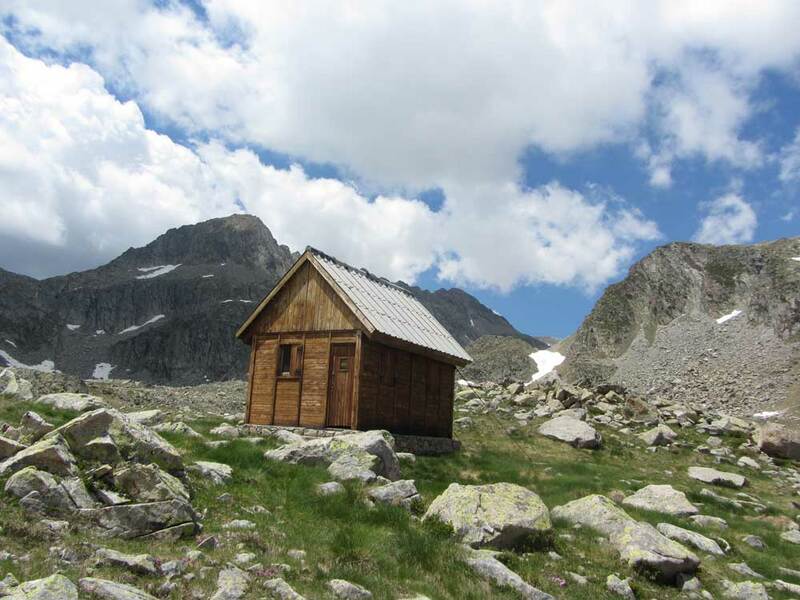 There are plenty of free walkers’ huts in Pyrenees, especially in the central zone. No need for a tent. 3. Estos hostel, this is the only place you will have to pay. From Anglios you can easily walk to Conangles and catch a bus to Vielha and further afield. You can buy food in supermarkets on the road leading down to Parzán and in Benasqué. Have fun. Please let us know how it works out. Thanks so much for your reply and the information Steve. I’ll first digest what you’ve written and the implications and then get back to you if I want to ask any more questions. Hey Steve – A quick follow up question related to what you wrote above and the problem of starting in mid/late May when there’s still lots of snow and freezing night time temps — Is there a lower traversing (med to atlantic) trail that one can start out on and then join up with the GR11 a couple of weeks in? – I’m in no hurry but still wanted to set off around the 22nd of May. Yes, the GR1 which runs from the Mediterranean at Sant Martí d’Empuries to Fisterra on the Atlantic (2093km!). The Wikiloc GPS track of the Spanish GR1 was uploaded by someone who had done it on a mountain bike. Hi Steve, thanks for all the info you have provided so far. I am cautious about the difficulty as we are Aussie flat landers in our late 50’s, but have done many multi day walks including Swiss Haute Route etc. Would you put the GR11 in the same category as the Swiss Haute Route? We really don’t want to strike any snow if we can help it, obviously timing will be looked at but the weather does its own thing! I will do more reading of course however which section do you recommend for the mountains and wilderness for a 2-3 week walk? Thanks again so much. Keep it coming, great reading. I’m not sure exactly what you mean by the Swiss Haute Route. A friend of mine did the Chamonix-Zermatt, crossing glaciers. On a day-to-day basis the GR11 is easier than that. If you mean the “Walker’s” Haute Route, which stays below 3000m, then the GR11 is about the same. As far as avoiding snow is concerned if you stick to 14 July to 30 September you will be OK. For mountains and wilderness pick the central section. In terms of access a good starting point is Candanchu and a good finishing point is Tavascan. It is just possible to do this in 3 weeks but you might be better to stop at Conangles and have some rest days. Let me know if you have any more questions. We will start a traverse of the Pyrénées Mountains starting in 2 weeks. Unfortunately, I have to be back at work by early July. I know it’s not the optimal time window. We were thinking of combining sections of GR11, GR10 and not too technical portions of HRP depending on snow conditions. So far the general plan is to start in Banyuls on GR10 until Merens-les-Vals and probably switch to GR11 from Andorre until Gavarnie, then maybe some portion of the HRP towards Lescun if the snow has melted enough, then finish on GR10 in Hendaye. We want to combine the nicest sections of these trails while avoiding the most technical portions because we are experienced backpackers but not mountaineers. If you have advice about the nicest sections of these 3 trails, I’ll be glad to hear about it. We may be carrying ice axe and small crampons, such as Camp Corsa ice axe and Kahtoola Microspikes. We will wear trail runners. I was under the impression that the Banyuls to Hendaye direction would make us encounter the high passes later in June compared to Hendaye to Banyuls, but I also read the opposite. Any idea on where to start to minimize snow? My 3 guides (Cicerone edition) are from west to east. What do you suggest for sleeping bag rating in June? I have the choice between -7C, 0C and +5C sleeping bags. We will bivouac most of the time. It’s a good idea to think of combining the routes. As you say, snow conditions may differ, but also on a day-to-day basis the weather may be better on one or other side of the watershed. Since you will be starting about 1 June, snow may be a minor problem. If you want to minimise it you should start at Hendaye. The first place starting from the west on the GR10 where you are likely to find snow on a steep slope is the Hourquette d’Arre (2465m) about Day 14. On the other hand if you start from the east on the GR10 you may encounter snow between Les Bouillouses and les Bésines (about Day 9) and again two days later. So I recommend starting in Hendaye. Normally you will be bivouacking between 1500m and 2000m rather than on the tops so a 0C bag will be fine. From Parzán follow the GR11 rather than crossing over to La Soule on the HRP (the crossing is very steep and after la Soule the next day to Portillon is very long). So you are still on the GR11 going round the south side of Aneto and thus avoiding several of the more difficult days on the HRP. At Tavascan quit the GR11 by going up to Noarre to join the HRP. I say this because the lakes after Certascan (Romedo de Dalt) are the most beautiful in the Pyrenees. Unfortunately this means a steep climb up and a rocky climb down from the Port de l’Artiga. After Marc I don’t recommend the HRP to Fourcat partly because the cable is attached to a rock which is in the process of falling off the cliff, but in any case you have the opportunity to take up the GR10 here as far as Bolquère. There you can cut across to the HRP at Eyne and the frontier path at 2900m above Núria. Make sure to have a clear day. Wow! This is another section not to be missed and will be clear of snow by the time you reach here. After Ulldeter cross over to the Pla Guilhem (see my recent article) and Mariailles on the GR10. Then take in Canigou on your way to Banyuls on the GR10. At this end of the trek the GR10 is wilder than the GR11 which passes through towns and villages. If you decide on this trek, I hope you enjoy it much as I’ve enjoyed creating it (let me know). Thanks for your detailed reply. I had a closer look at your trek suggestion today. I plan to use most of it for our traverse. There are three detours that I’m playing with, let me know if they don’t make sense or if there are better options, such as those you initially suggested. 1 (maybe far fetched…). From GR11 at Zuriza, a detour to Lescun: supposedly beautiful and HRP manageable in that area. Senda de Camille goes from Zuriza to Lescun near Aiguilles d’Ansabère. We could come back via HRP from Lescun – refuge d’Arlet – GR11 near Aguas Tuertas and stay on the GR11 until Candanchu. If we go with that option, is it better for scenery crossing over from GR10 to 11 along the Camino as suggested or following GR10 all the way to Lescun? 2. From Candanchu on GR11, join again the HRP via Astun with maybe a night near refuge d’Ayous to get a good view of Ossau. Then east on HRP to refuge de Pombie. I may avoid Passage d’Orteig via Lac d’Artouste. Then toward refuge d’Arrémoulit and south to Respumoso Lake by Arriel Lakes, thus avoiding the next heavy/snowy HRP segment (on the way to refuge Larribet). Then as suggested to refuge Wallon and on. 3. After Cartascan, Joosten’s HRP (Cicerone guide 2013) goes south to join GR11 near Refugi de Vallferrera then Refugi Baiau, El Serrat and Refuge du Ruhle instead of going to Marc. You suggest taking another version of HRP (Véron?) from Cartascan towards Marc then GR10 until Bolquère to avoid an old dangerous cable. However, the GR10 between Marc and refuge du Ruhle seems to go mostly through forest. Should we stay on the alternate (Joosten’s) HRP in Spain and northern Andorre until Refuge du Ruhle instead of GR10 vi Marc? Then from Ruhle we could take GR10 until Bolquère and Eyne as you suggested, avoiding Carlit though I don’t know how difficult it could be. I have 5 weeks off starting near the end of May in Hendaye. I would probably need more time to complete the entire traverse but I will exit before if necessary. Merens-les-Vals, Bolquère or Perthus seem to have roads/towns big enough for public transportation if needed. My partner will join me after one week, I still need to figure out where I will be at that time and how he could get there from Toulouse, either St-Jean-Pied-de-Port or Lescun if we go there because there is not much in between. 1. I’m actually going to do the Senda de Camille in August so I’ve been researching it as well, though I have already done Lescun to Somport. The scenery on both my original suggestion and your proposition is stupendous. The Senda will take three days and the GR11 two. By the way, you can have a glimpse of the Aguas Tuertas if you climb up to the frontier ridge from Arlet. In any case I still suggest that you cross over to the GR11 at SJPP. 2. The problem with this suggestion is that the steep east side of the Cuello de Arrémolit may also have snow. (Look at the Respomuso hostel webcam to get an idea of the snow. There are several other webcams on this site) It is true that you get a good view of the Pic du Midi d’Ossau from Ayous, but you also have a good view from the Anayet lakes. (If you do choose the GR11 beware of the E end of the Canal Roya which is steep and can be snowy – but there is an alternative further south. 3. Yes, if you want to avoid forest, take one of the alternatives as far as Jouclar. From there you have three choices. Go directly to l’Hospitalet près l’Andorre, cross over to the Rulhe refuge via the lacs de Fontargent, or via the Étang de Joclar. (It has to be said that the Baiau hut is lovely, but don’t miss out on the Romedo de Dalt). You can still take in the Carlit from the GR10 by going round the east side of Lanoux. It is steep scree but better going up than down. Great, thanks! We will see for variations on the way with the conditions. I guess crampons and ice axe are recommended with that plan? Something like Kahtoola K10 or Hillsound Trail Pro crampons to use with trail shoes instead of boots would be enough? Romero de Dalt could be accessed from Certascan to Valferrera via Porta del Cel but it is not waymarked and seems a very tough section so I don’t consider it. I’m not convinced you will necessarily need crampons and an ice axe. Look at how the snow is evolving on the Respomuso webcam and judge from that. As for the Romedo de Dalt, there is more than one way to go from Certascan to Vallferrera. You don’t have to go on the Porta des Cel via the refuge du Pinet and the Pic d’Estats (which isn’t that difficult in any case). Ask at Certascan when you get there. Thank you for providing such great information. Me and my friend are planning on travelling in the pyrinees for 12 days mid june, starting possibly in “Chemin de cascades” in Val de Jéret. Do you have any recommendations for a 10-12 day trip from here? We will sleep in a tent but will need to stack up at a refuge every 2.-3. day we assume. Also, is there always water in the refuges, or is it ok to drink running water with iodine pills? I presume you are thinking of starting in Cauterets then. 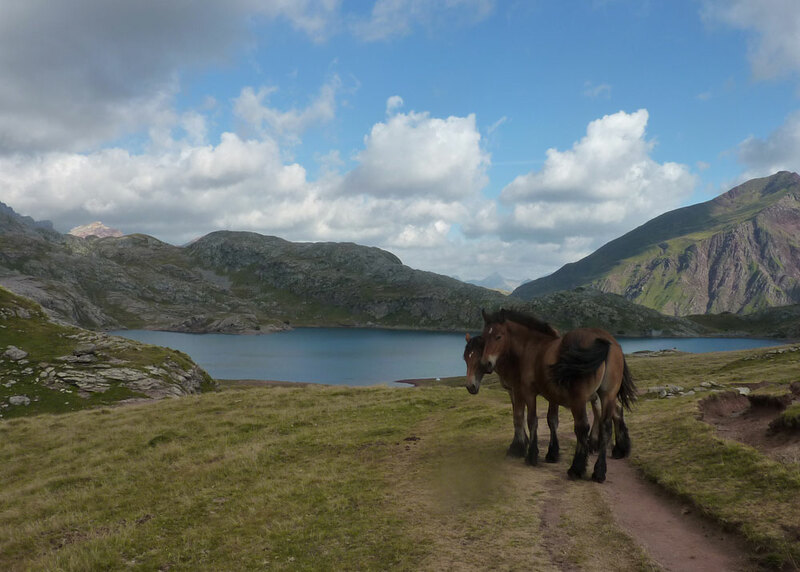 You might like to look at my other site on walking the Pyrenean Way (GR10). On the other hand you have the possibility of crossing over into Spain from Gavarnie to Bujaruelo and following the GR11 in either direction. See this list of circular walks in the Pyrenees, some of which will get you back to your starting point. It is not easy to stock up in refuges. They will be happy to feed you in the evening and provide picnics but most don’t really do supplies. If you are going to be relying on resupplying in refuges you should contact them beforehand to check. Yes there is always water in staffed refuges and you will find springs near to most huts. Iodine pills are sufficient because you should always be able to find running water at or near to the spring. By the way, you don’t necessarily need a tent as there are lots of free huts in the central Pyrenees. Be prepared to change plans if you find snow. Je viens de voir à l’instant votre réponse sur votre site du Gr10 et je parlais bel et bien du Gr11 mais je m’étais apparemment trompé d’adresse ! Je voulais vous remercié de m’avoir répondu aussi rapidement et savoir si vous pouviez me donner le même type de conseil mais pour le Gr11 cette fois-ci ? Encore une fois, merci d’avance pour votre réponse ! Une boucle de 3-4 jours sur le GR11 est moins évidente que sur le GR10 français. Dites-moi, vous avez fait quoi en montagne ? Quel est le point d’accès le plus facile pour vous ? Je ne suis pas très expérimenté en montagne, je l’avoue, mais je suis jeune et assez sportif et je pars avec quelqu’un physiquement très en forme donc je pense qu’on pourra se débrouiller physiquement tant que ce parcourt ne nous demande pas d’avoir des connaissances d’alpinisme ou autre ! J’ai un vol jusqu’à Barcelone et nous comptions démarrer de là-bas en prenant une navette ou un train qui nous amènerait à un endroit où l’on pourrait rejoindre le Gr11, après notre parcourt ne doit pas nécessairement faire une boucle, notre but est au contraire de découvrir un maximum en ce court laps de temps. Dans ce cas, voici une proposition : Parc national d’Aigüestortes et lac Saint-Maurice. A partir d’Espot vous pouvez faire une partie du Tour des Encantats. Normalement il faut six jours mais il est possible de couper à plusieurs endroits. En plus il y a un bus qui fait le tour du parc d’Aigüestortes qui permet des raccourcis avec correspondance à Sort (fichier 2016, donc pas à jour). Deuxième proposition, prendre le train à Puigcerdà puis poursuivre le GR11 jusqu’à Setcases. Le tronçon entre Núria et Ulldeter est de la varie haute montagne, mais pas technique. Sinon, vous avez les sentiers transfrontaliers qui deviennent à la mode, et qui comportent chacun un bout du GR11. Merci beaucoup, je vais un peu mieux me renseigner sur chacune de vos propositions dès lors, vous m’êtes d’une grande aide !! Je me suis renseigné sur le tour des Encantats, et ce trek me semble idéal! En ce qui concerne l’eau, munis d’un filtre, il nous sera possible de consommer l’eau des lacs rencontrés durant la journée? Et enfin, allons nous croiser un autre village sur ce tour qu’Atriès, notre point de départ? Merci d’avance pour les réponses que vous apporterez à toutes ces questions! Oui il est possible d’acheter des repas sans dormir dans les refuges, mais il vaut mieux prévenir la veille. L’eau c’est gratuite. En ce qui concerne l’eau des lacs, préferez l’eau des ruisseaux, voire des sources. Il n’y a pas de villages sur le circuit, mais Espot est accessible avec un détour. Régalez-vous ! I just stumbled upon your site while looking up various routes hiking routes in Spain. I’m looking for a trail that is 2-3 weeks long but which has the possibility of restocking up on food maybe every week arriving in Spain within the next week. I would also like to be able to stay for free along the way as my budget will not stretch to staying in refugios. The only problem is I am a very novice hiker and have only gone on day and overnight hikes (although I am not terribly unfit). I was wondering what routes you think I should take? Whether the gr11 is a good choice or whether I should choose something less challenging. I’d welcome any suggestions, especially regarding start and end points and maybe what supplies you think are most necessary. Sorry if this request is too vague, I can clarify any questions you may have! Maybe staying closer to the coast would be a better option, I really like a good swim, unless there is a walk with really nice rivers or lakes? Is there a good more coastal route which has possibilities for staying in free huts? Or do you think a hammock and tarpaulin would also be sufficient? I also don’t want it to be completely crowded- would a coastal route be very busy? For these specifications should I take a higher altitude route? I am going to arrive in a week so will be walking in July. Thank you so much for taking the time to respond, I really appreciate you sharing your knowledge! You might like to consider the GR92 then. But you need to be aware that near the coast everywhere is owned by someone who may or may not be happy to have you spending the night on their land. There are very few huts specifically for walkers. Once you are away from the beaches there won’t be too many other people – but remember that this is Spain in summer so there won’t be empty paths. Which end of the Pyrenees are you coming to? Another idea could be to walk a bit of the GR11 in Spain then cross over to the GR10 in France before you get to the more difficult areas. 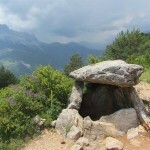 In any case see this link for free huts for hillwalkers in the Pyrenees. Maybe I will do the g11 g10 route. Are there any bodies of water that you know of that are along the way to swim in? Where should I buy a map? And where is the best place to start? I might still take the coastal route, just one question, is it completely flat or is there still nice variation? I will stop asking questions soon I promise! From Barcelona the best idea is to go to the end of the end of the GR11 at the Cap de Creus and walk inland to Puigcerda, cross over into France and come back on the GR10 to Banyuls where you can get a train back to Barcelona. This isn’t too difficult and takes you into real mountains. There are free huts at the col de Banyuls (just off the track, on the border); the Forn de Calc just before Requesens; la Jonquera (ask in the police station for the key! ); Bassegoda (ask at café just before); Talaixà; Youth Hostel at Núria. On the French side you will find more free huts marked on the site I mentioned, including Refuge de l’Orri de Riberola; a half ruin just after la Carança; Cabane de l’Alemany; Cabanes de Mariailles; Arago; Cortalets; Cabane Pinatel; les Salines (just off GR10); Tagnarde and the not-to-be-missed Refuge Tomy near Banyuls. I have only included the huts I know of. There are many other orris – dry-stone igloo-shaped huts. No there is not much water for swimming in but enough for washing. As for free maps for ramblers in the Pyrenees download them from the Internet. Yes the coastal route does go up and down but only 100m or so. On the GR11 and GR10 you can expect 700m+ most days. Thinking about it, it would be easier to start at Banyuls on the GR10 because there are lots on well-known huts. This will give you an introduction to what to expect. It should be a great walk. Dernière question: quelle carte nous conseillez-vous pour nous retrouvez sur place? Et où pouvons-nous nous la procurer? You have been very helpful! Iv’e been looking at some maps and to me it looks like I have to cross at Nuria to be able to get to the French side but you recommended Puigcerda… Am I just not looking hard enough? I suggested Puigcerdà because otherwise the walk might not take 3 weeks. But it is true that crossing from Eyne (stay at Cal Pai) to Núria is a great walk. To do this you would leave the GR10 at la Perxa; there are good paths to Eyne. Alternatively you can catch a train, the romantic Petit Train Jaune from either la Perxa/Bolquère or Saillagouse to Bourg-Madame and then walk to Puigcerdà to join the GR11. I will cross from Puigcerdá then! It is a great site! Me and my wife are planning to make a part of GR11 in the beginning of September. We will have one week available. We arrive to Barcelona. 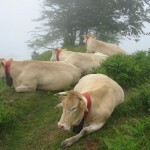 We are more or less experienced hikers, did Tour du Mont Blanc last year and can sleep wild as well as in the refugios. I am trying to understand which part is it better to take, to be able to arrive to the starting point and to get back from the last point and still visiting real mountains. What do you recommend? I did the Tour de Mont Blanc a few years ago, with a mule. Great fun, especially with a light day-pack. Getting to the Pyrenees by public transport is not that easy. Here are a couple of possibilities but you will need to check out the details. I see I have missed your reply. Thank you for answering. After studying the subject I think to take a train to Figueres, than a bus or a taxi to Albanyá, then to walk to Andora in 7 days and take a bus back to Barcelona form there. Do you think it is a viable plan? You may be able to combine some or reorganise – see my map page. I’d be interested to know how the transport and the walking work out. Thanks a lot Steve for the good piece of advice! we will start with this list and will see how it goes. 1. Any thoughts on Biados/Orus/Chaime (2days)verses Biados/Estos/Chaime (1 day)? 2. Is the Orus/Chaime section rough & tough? 3. And is the Refuge d’Angel Orus really small? It looks like a little garden shed! 4. And clothing – first two weeks of Sept, Gavarnie to Tavascan, cold weather or warm and wet? For Orus/Puente de San Jaime (Chaime) I presume you mean to pass by Batisielles. Both the path from Biados to Orus and the path from Orus to Batisielles/Estos are hard going because of the amount of boulder hopping. Also the from Biados to the collado de Eriste is steep. I would say that the scenery is similar, though more mineral on the two-day option. It will be warmish. But this is the high Pyrenees so be prepared for cold as well. I hope this helps. How far are you going? Oopps, the image above is the Anglios hut not the refuge d Angel Orus. Now I understand your confusion… personally I prefer the Anglios hut. I’m planning Gavarnie to Tavascan, then exit to Barcelona and home to Perth Australia. Any recommendations for a rest day en-route? Most of my trekking has been in Nepal and Tibet, so this is a new experience. It has to be Benasqué, which has all the facilities for R&R. Once again thank you for your assistance, it’s greatly appreciated. Is there a direct path from the refuge Orus to Benasque, and if so, what that’s like? And where would you stay in Benasque? As far as I know there is no direct path, and looking at the map trying a cross-country route could be difficult. I don’t have any recommendations for staying in Benasque. I’m going to walk the Senda de Camille from Wednesday so I won’t be able to reply to comments for a few days. Thank you for your help, the guide on the website is really helpful. As I already told you I intend to use your Wikiloc GPS track. I would use it on my phone, having bought a navigation pack on Wikiloc (which works without wifi or connection). Does it sound crazy? I am a very good walker, but never did anything as long as the GR11, really nothing longer than a week and nothing wild camping. I am very driven though and I am ready to go. My backpack will weight max 17kg including tent 2l water 3 kg food. It’s my intention to try and camp all the way reserving the possibility of staying in refugios or other accommodations in case I don’t feel like wild camping because of the weather or other factors. 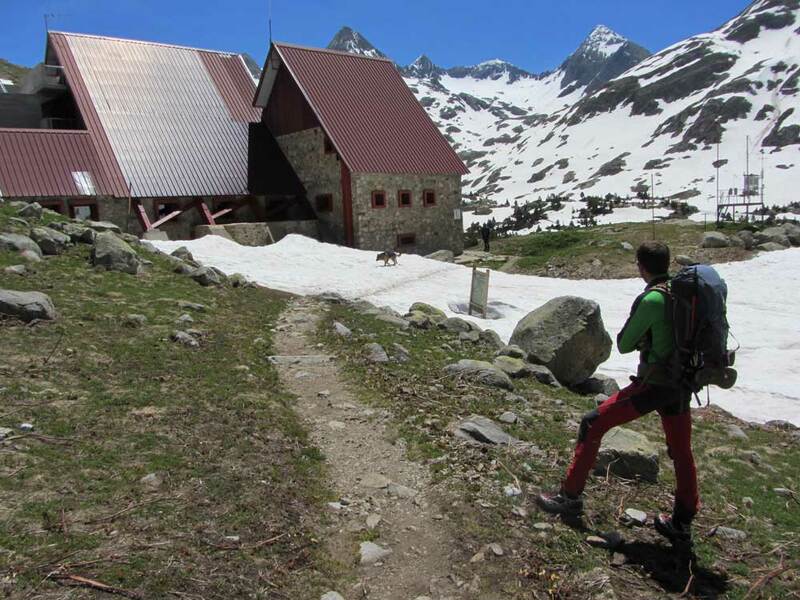 The fifth edition of the Cicerone guide organises the stages so that you can always stay in a refugio. I immagine then that every day I will pass by an accommodation, either if I want/need to use it or not. On the same guide it seems that I will find food stores all along the way except maybe for a maximum of a couple of days a couple of times. I read in this website differently can you please explain? Thank you very much I know your advice will be precious. I’m glad you find the website helpful. I didn’t realise you would be using the GPS on your phone. Mine is useless, but then it is rather old. Try testing it in an area with the phone network switched off. I also wonder about your backpack weight. 17kg seems excessive even with tent, 2 litres of water and 3kg of food. Can you reduce it to around 12kg, more appropriate for a long-distance trip. You can get away with a heavy sack for a few days but over the weeks it will wear you out. 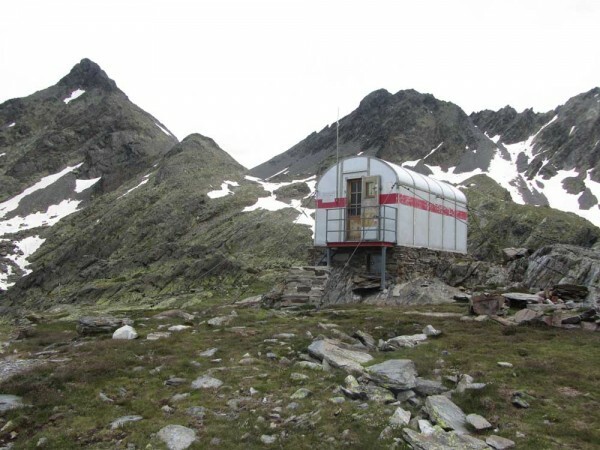 When I walked the GR11 I didn’t carry a tent but always managed to find a roof – there are many free (but very basic huts) as well as the refuges. So yes you will pass by accommodation every day. On the other hand food resupplies need careful planning as shops may not be open when you get there. There is at least one food shop in Bera, Elizondo, Auritz, Ochagavia, Isaba camp site, Zuriza, Candanchú, Sallent, Torla, Parzán, Benasque, Espot, Guinguetta d’Aneu camp site, Encamp, Puigcerdá, Planoles, Mollo, Bassegoda camp site, Maçanet, La Jonquera, Vilamaniscle camp site, Port de la Selva. You can get a bus from Conangles to Vielha and back. Does anybody have experience of using a phone to navigate on the Senda? Or elsewhere in the Pyrenees? Thank you Steve for your help. I bought GR11 Senda Pirenaica Editorial Alpina just to make sure, but I am still counting on using my phone to navigate! Regarding the weight, I counted and weighted everything another time yesterday and I managed to get to 10.746Kg backpack without water or food. I also discovered 3 kg of food are a huge amount, I would be basically carrying food for 3 weeks or so. I will probably reduce the quantity of food counting on refugios and food stores. Also I tend to consider water and food as a temporary weight as I am going to eat it up. I have a whole excel sheet with eeeeeverything I am carrying. I might be able to work on that a bit more, but I doubt I am going to be able to reduce it too much. And thank you Francesca for inciting me to look at using a phone as a GPS off line. I have just realised how little I know and what potential there is. So I am going to try it out more. As for weight, the most important factor for me was buying a lightweight rucksack (Z-Pack) though there are others. Also, I suspect you have seen them already but just in case you haven’t, there are lots of sites dedicated to ultra-light backpacking. I ‘ll wait for your opinion on that. Starting tomorrow from Faro de Higuer, so if anyone is doing the same I’d love to meet and mayb walk a section together. We are considering a week going East along the GR11 towards the coast from somewhere a bit inland, can you recommend a place that can be accessed via public transport (we are flying from London so can book to anywhere convenient) to start from so that we would end up at the East coast about 1 week later? Unfortunately there isn’t anywhere on the GR11 about a week away from the Mediterranean coast which is really accessible by public transport. You might consider Queralbs but that is 9 days away. Same problem if you opt for the French GR10, starting at Thues or Bolquère. My brother and I want to do a 3-5 day route Sept. 19-22 from Andorra to Puigcerda. Is this a doable section? Any recommendations for refugios? Yes it is doable. From Andorra la Vella go to Encamp to join the GR11 and then to the Illa hut for your first night. This is an unstaffed bunkhouse without facilities. It has bunk beds but no mattresses so it is like camping but with a solid roof over your head. Collect wood or pine cones for a fire before you arrive as there is nothing burnable for 2km around. From there walk to Malniu which is a proper hostel and the next day to Puigcerdà. Lots of thanks that for taking time to answer all of the questions! I’m planning to do the whole trail, starting at the end of september, west to east. Could you tell what the weather conditions might be at time, as it would probably will take at least a month to hike the trail? Hiking the GR11 takes fit experienced mountain walkers 42 days. This is walking every day for 6-8 hours with often over 1000m of climbing and descent. So my first question is what experience you have of mountain walking? I ask this because it has already snowed twice over large areas of the Pyrenees (over 2000m) and, although this snow will soon melt, from mid-October you will be faced with large areas of snow. By mid-November you will probably need crampons for certain areas. Well, the longest mountain hike that I’ve done so far was a week long hike in Norway. I think I’m fit enough to do it but it would be solo hike and snow fields makes orienteering a little harder propably and that makes me a little worried as I’m not super experienced using gps. You can download a track of the GR11 from wikiloc.com for your GPS, then all you need to do is to follow it. Compare two or three versions because sometimes they don’t correspond. New rechargeable batteries for your GPS will last 2-3 days so I usually carry 6 in total which gets me to the next rechargeing point. You can look at the webcams on refugios in Aragon to see what the conditions are like in the first area you are likely to encounter snow. The most useful one is the one at Respomuso [Cámara orientada hacia los picos de Llena Cantal y Tebarray]. The pass where the GR11 passes is in the exact centre of the photo. Another tool which you may find easier to use than a GPS is the Wikiloc phone app. You can download a map of the whole of the Pyrenees for about 4 euros. The only problem with this is that it uses the phone battery very quickly (8 hours on my phone, even in airplane mode) so you can’t have it on all the time. Hi Steve, great website and I am looking forward to reading your book. Planning my first walk in the Pyrenees and hoping you can give me a couple of tips. I am an experienced pack carrying hiker and have done quite a few 7-10 day hikes carrying everything over the years. Competent navigator. I’ll be flying into Barcelona late August next year and I am looking to do a 7-10 day loop walk that might incorporate GR11, GR10 and/or HRP. Will have tent and stove etc so can carry supplies for a few days also,although I am not clear just how much independent camping you can do there instead of staying at Refugios? I am looking for suggestions on a trailhead that we can start and finish on. We’ll need to leave non trekking luggage at accom near the trailhead that we’ll return to. Looking at the map happy to go as far as Torla, so looking for options between there and the Alta Garrotxa. The latter part of the holiday will be around Perpignan, Carcassonne and Tech valley/Cerdagne so being near a spot we can cross into France (by public transport)would be handy too. I am leaning towards the Torla area so far. I have ordered a couple of the Cicerone guides, could you advise on 2-3 areas to concentrate my research on? Hmm. My guess is that the luggage you wish to leave at the start is too heavy carried as well as what you will have on your backs. This limits your trailhead to cross-frontier roads at Candanchú, Formigal, Parzán, Vielha and Puigcerdà. The first and last have public transport to both sides of the border. To get across at other points you will have to use a taxi. I would suggest constructing a circuit starting and finishing at Vielha/Viella, from where you get a taxi to Bagnères de Luchon and then busses and trains. From Vielha you can walk either east or west. As well as the GR11 and French GR10 you have the Pyrenean Haute Route. My version of this is a bit eccentric but Cicerone’s HRP guide will fill in the gaps. In August you won’t have a problem with snow unless you decide to tackle glaciers. But you will need to book ahead for the first half of the month, especially in Spain, and around 15 August in France. Just in case you haven’t seen it, I have a page on circular walks in the Pyrenees. Brian Johnson is currently writing a guide to 7-12 day walks for Cicerone as well and it may be available before you travel. Le me know if you have any more questions. Thanks Steve, yes it is a holiday in 2 parts. Trekking and then some sightseeing around Perpignan and Carcassonne, hence the need to store some luggage rather than carry it. Thanks for the leads you have provided here and the offer of further help. I’ll rough up a bit of a route when I get the guide books and run that past you if I can. Reading the Cicerone books and am looking at an 8-10 day loop through the Ordesa and Pyrenees national parks. Looking at the maps I think I can see a trail over Col des Oulettes connecting GR 11 and 10, is that a feasible route or would you recommend another nearby? At the eastern end of the loop I can see a track from Parzan to Heas via Porte De Barroude (probably camp at the lake). I am wondering about a route from Refugio Viados to Heas with a night in between. Is that viable and could you recommend a place to stay/camp? I can see this loop could be begun in either Torla or Gavarnie/Cauterets via Lourdes. Which would be the best place to get a screw on gas canister and freeze dried/dehydrated meals or would it be better to try and get these things in Paris or Barcelona? Thanks so much for putting all this helpful information out there. I’ll be walking the GR11 from early August until mid September of 2018. I have loads of back-country experience so I’m planning on wild-camping or camping near refugios most of the way(my base weight including tent is 5.9kg so no worries about weight). I’m comfortable with all kinds of weather, hazards, wildlife, etc., but as a wilderness paramedic in the US, I can’t get my mind off this infamous, venomous snake(asp viper) endemic to the Pyrenees. I’ve heard they’re common and that a bite can be fatal. So from someone who has trekked there, how common are they? What precautions do people take? How concerned should I be? I know it sounds silly because the other hazards like hypothermia and dehydration are so much more probable, but I have experience with those and planning is my prevention. So mostly just worried about the snakes. Sorry to be so long in replying but I didn’t notice your comment. It’s good to see someone who takes weight seriously! As for vipers, you don’t need to worry, over the last 20 years I must have spent about a year in total in the Pyrenees and I have only seen a live viper once – and it was slithering away so quickly that I’m not really sure that it really was one. Nobody I know takes any precautions at all and I haven’t ever heard of anyone dying from a bite – it would be sufficiently unusual for it to make the newspapers, I think. So rest assured and concentrate on the problem of dealing with blisters! I’m planning to hike the gr11 this year (2018) leaving in the last week in June, do you think 30 days is a realistic target? Also could you recommend a GPS device one that might possibly have the route preload? Sorry to be so long replying to this but it seems to have slipped through the net. The fact that you need to ask me if 30 days is a realistic target makes me think that you probably haven’t much experience of mountain walking day after day. If this is indeed the case then 30 days is definitely not reasonable. It took me 55 days, though the standard time is around 44. As for GPS devices, I can’t recommend any one in particular. As long as it has vector maps it will be fine. You can download various GPS tracks of the GR11 from Wikiloc. Some of them contain timings so will give you an idea of how long sections really take. I’m planning a two-week trip on the GR11 in the Spanish Pyrenees this summer starting at the beginning of June. I’m an experienced backpacker and I will be travelling with my less experienced gf. I did a week on the eastern portion in 2013 (cap de crues to Mollo) so I’m aiming to do the more western sections. I’ve heard really conflicting reports as to the necessity of using an ice ax. Some people seem to say you absolutely need it in the early season, but the guidebook I have (Brian Johnson) suggests I should be fine with crampons and hiking sticks. I personally haven’t seen the terrain, and I’d hate to pay $100 for a pair of ice axes if not needed because money is a little tight. So do you know how tough/dangerous it would be to do the middle section (say from Espot to Encamp) this early in the season? Or else should I just do the lower far western side which might be a little more difficult to get to and not quite as exciting? PS: We plan to do quite a bit of training so that we can cover extra mileage/be more comfortable and secure. PSs: thanks so much for writing all of this up and answering so many questions, my trip in 2013 would have been made so much easier! I’m not clear where you are intending to start, but assuming it is at Mollo the first snow will be after Ulldeter. The GR11 goes up to 2900m on the side of the Pic de la Vaca. The next potential problem is after Malniu, at the Portella de Engorgs. Then you have the Portella de Baiau after Comapedrosa. Between Espot and Restanca there are another two high points. The only one of these points where I didn’t need crampons (in early July, not early June) was Pic de la Vaca. Although I have great respect for Brian, I have always believed that crampons are a means of progression and need to be combined with an ice axe which is a safety device. Hiking sticks will not save you if you slip on a steep slope. So I recommend taking an ice axe each and practicing self-arrest on the first snow you come to. Other points of note: you can avoid the Pic de la Vaca by going down the Coma de Vaca to get to Núria. It is possible to climb the scree on the south side of the Portella de Engorgs to avoid the corniche of snow just below the ridge. To avoid the Portella de Baiau, miss out Comapedrosa and go via the Estanys Forcats. However, when all’s said and done, the most important safety device you have is your tongue. Ask people coming the other way about their experiences. Hi Steve, thats an awesome website! I am going to hike the GR11 starting West to east on 14. June. I want to combine it with the GR10 LG necessary (Snow, etc. Only bringing microspikes).do you know a Source for gpx files of connections between the 2 kg them? For link paths see my page on Pilgrims, golondrinas and refugees! All kinds of people have crossed the Pyrenees over the centuries and there are now many routes which follow their footsteps. The best source for GPS tracks is Wikiloc. There are many other treks listed but my profile has several cross-frontier treks. However, changing from the GR11 to the GR10 won’t necessarily help with snow, see my page on earliest dates for walking the GR10, GR11 and HRP. In any case, starting 14 June you should be OK. Thanks Steve for your advice! Gonna have a look at it. We are experienced hikers having done several treks in Alps and Dolomites. THis is our first time in Pyrenees. WE will be coming from Barcelona in early June and only have 7 to 8 days. Can you suggest a good starting and stopping place given the chance of lingering snow? We like to stay in a few hotels along with hostels and like higher rather than lower stages. Given that it is still snowing heavily today and tomorrow, there will still be big drifts in hollows at the beginning of June. The only problem with this is the GR11 passes alongside the Pic de la Vaca at 2900m between Ulldeter and Núria. 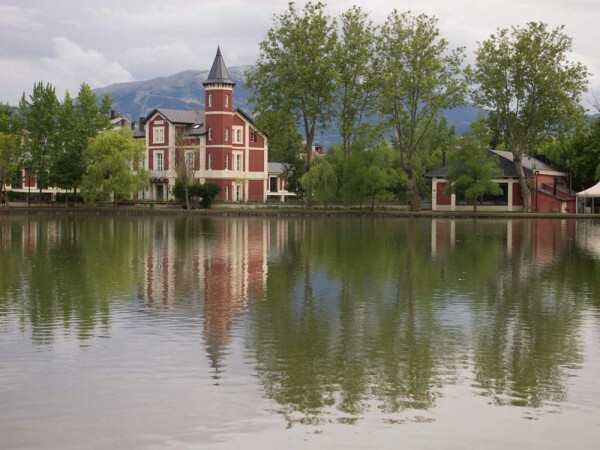 The alternative is to go down to the Coma de Vaca refuge and then take the camí dels Enginyers to Núria. You need a good head for heights for this. I have a page dedicated to snow conditions for walkers in the Pyrenees. Please help other walkers by filling in a report. Thanks so much. I’ll check that out! We’re still getting snow here in Vermont too. I presume you mean you would like to Hike not Bike (-;). It is difficult to say what would suit an 8-year-old because the normal days on the GR11 are long 6+ hours walking for an adult, but if you are camping you can potentially split days into two. You could try the Ruta de las Golondrinas. The problem with the GR11 is getting back to where you started. On the other hand you could get a train to Hendaye and then a taxi to Olhette and walk on the French GR10 from there to St-Etienne-de-Baigorry and get a train back from there. However these are not wilderness. I think wilderness would probably be difficult/boring for an 8-year-old. Thank you for all your help by sharing your wikilocs map, as well as tips for hiking in the Pyrenees. This has helped me plan for a section of the GR10 followed by a section of the HRP. Do you think it is manageable to plan on hiking on the HRP from Refugi de Renclusa (I’ll be coming from Bagneres du Luchon) to Alos d’Isil without a tent? I have gone back and forth about bringing a tent, but it does seem like I can plan for staffed or unstaffed refuges every night. So, it might help to save some weight to leave the tent in Canada. I will be using your wikilocs route, as well as the GAIA app with waypoints added in from Joosten’s book. It is really helpful to have your track. Yes you can walk from Bagneres to Luchon to Alos d’Isil without a tent. I did it in 2016 as part of my HRP. Beware, though, the Aigüestortes National Park is heavily booked for the first two weeks of August. I suggest you stay in the Airoto hut before Alos. I wished I hadn’t booked into Fornet (even though that is a good place to stay as well). Hi Steve, hope you are well. I have a dilemma and need advice! I’m flying into / out of Barcelona this August (one week) and am planning a 5-day GR11 hike (with a tent). Fly to Barcelona and get the bus to Benasque (this takes all the first day). Then hike west for five days, the last hiking day ending up in Torla to get the 15.10 bus to Sabinanigo then Huesca. Then bus to Barcelona the next day and fly home. This plan was based on reading that the Posets Massif and Ordesa parts of the hike are really spectacular. However I’m now dithering and wondering whether I should go east from Benasque… not really sure why but I do like the look of the Aiguestortes and had a thwarted trip there a while ago so it’s unfinished business! Also ending up nearer Barcelona might be a bit more flexible, transport wise (and give more time hiking?). Basically I just want the best five days of the route which are challenging, beautiful, wild-campible, not too busy AND accessible by bus to Barcelona in and out (not much to ask I know!). If I went east from Benasque could I end up in Espot (or further along) and somehow get back to Barcelona from there? BTW it felt like Benasque would be a good starting point because I will need to buy a gas canister (“Coleman” style), but if you can suggest something else please do! Camping isn’t allowed in the Aigüestortes i Estany de Sant Maurici National Park which rules out Plan B. 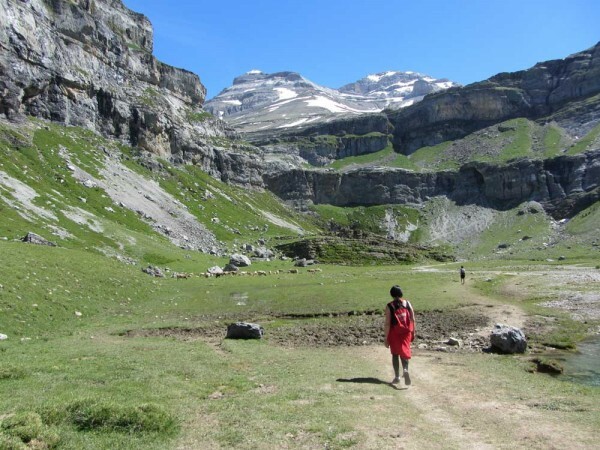 After Góriz I would suggest you walk along the Faja de Pelay, high up on the south side of the Ordesa valley. It will be less crowded. In August, wherever you go you are likely to meet other walkers… but it will be spectacular. How are you? Thank you for all this helpfull information! Just found this site today. I really like your advice. I’m flying into and out Gerona the first week of may and i’m planning a 5/6 day GR11 hike with a friend of mine. We have quite some experience with walking trails( only not in spain). And we love to camp in the wild. Is that a problem in that region? I was thinking about starting in La Jonquera and walk to Nuria or even further. I think that’s doable? You won’t be able to go beyond Ulldeter without snow equipment. What you could do is to go as far as Mollo and then cross over to Prats de Mollo and Arles-sur-Tech in France and walk back towards the coast on the GR10. I have used your site and walked the gr 11 last summer and summer before. Now I am off for two weeks and want te walk back from talaxa east. Have you heard of the GR1? Is this walk also beautifull? Talaixa west is great – assuming you are going after mid-June. You quickly get into the dramatic high mountains I have heard of the GR1 but don’t really know anything about it except that it is a lot lower down. I’m trying to plan a 2-3 day backpacking trip for mid-may, flying into barcelona. We’ve looked at GR-92, GR-10, or even going through Sierra Nevada. We want a walk that is not flat but not extremely difficult either. We don’t have any equipment that would allows us to go through snow, which I’ve heard can be a problem this time of year. Also we would like to keep this trip as inexpensive as possible, preferably with wild camping as opposed to staying in hostels. Do you have any suggestions? Since you’ve only got 2-3 days why not go to the Parc Natural de Sant Llorenç del Munt i l’Obac which is just north of Barcelona. You won’t be able to wild camp because it is a nature reserve. Otherwise stick to the east end of the GR11 (as far as Mollo). There are free basic huts at Requesens, Bassegoda and Talaixa. There is also – or so I’ve been told – a hut in La Jonquera. You have to get the key from the police station so behave yourselves! We would like to go hiking along the gr10 mid june. – we are not planning on using crampons and climbing gear. – camping in the wild. We are two young guys around 25 and in good shape. Thank you so much Steve for all your information and help. You’ve written GR10 (in France), though this site is dedicated to the GR11 (in Spain). Please confirm you mean GR10. we come from belgium so I guess GR10 is closerby. Do you have any info for GR10 ? You can look at my other site on the French GR10. Rather than a linear walk, why not try the Sentier de Camille, 6 days on a circular walk. Wow thanks for that, really helpfull. Do you know if we can do it with a tent and camp where we want? There are several official sites and you can camp near the hostels. If you want to camp elsewhere you will need to investigate the situation. There are also free huts (usually no more than a roof and walls). Thank you so much for this helpful site and for all your detailed advice. This is very invaluable information! I’m planning a 14 day trek on GR 11 from around early to mid July. I’m a relatively experienced trekker (I’ve done a 16-day trek in Nepal and various week-long treks in the US + in Peru and Bolivia). – Take buses from Sallent de Gallego to Pamplona and fly out from there. We would like to stay in huts/refuges the whole way. Is this feasible for this specific stretch? Do you have specific recommendations? And would we need to book in advance for this time of year? In regards to buses, is there a specific company / online booking portal you recommend? Or is it not necessary to reserve tickets in advance? Last, but not least, what are your thoughts on safety in regards to being a solo female trekker in this area? I really appreciate any feedback/advice on the above. Thank you so much in advance! Thanks for pointing out the Open Street Map. It is a useful resource. Your plan sounds fine. However, looking at the map, some of the stages are double what I did (eg Baiau – Areu – Tavascan took me two days). Your trek took me 17 days. If you are starting in esrly July do not go via Comapedrosa because the descent to Baiau is likely to be snow-bound and very steep. Take the variant which goes further north, via the Estany Forcat (there’s a free hut at Pla de l’Estany which might come in useful, depending on your timing). You may need to book a week in advance but not normally weeks in advance for nights up to the end of July, except for the Goriz refuge which will be booked up very early. For busses use ALSA. You can book online. As for being a solo female, do not worry. What matters is your mountain skills. Thanks a lot for your kind and helpful reply. It’s very helpful to get an indication of how long this stretch would reasonably take. Approximately how many hours a day did you hike in order to do this route in 17 days? Just to take that into account.. I would probably like to shorten it a bit then, but I have difficulty getting a good idea of the bus/train options from/to Barcelona and Pamplona in order to organize start/meet/end point. In Alsa.es I only see the bigger destinations (including Andorra), but I don’t see any of the smaller spots (with connecting highways passing through) along the GR11 as possible destinations. Can we count on local bus lines (i.e. to/from Tavascan, Guingueta D’Aneu, Benasque, Bielsa, Baños de Panticosa, Sallent de Gallego)? And is it necessary to pre-book? In regards to accommodation, I failed to express myself clearly. To avoid having to bring too much food along the way, I/we’d prefer to mostly stay in staffed huts where you can buy food/meals. Is this possible in this area? A few nights in unstaffed huts is perfectly fine though. Also, which guide book do you recommend? Thank you so much for your great advice. I really appreciate it! My timings (I was walking in the other direction and some of these are estimates as I didn’t do quite the standard route because of snow, and didn’t stay in all these places). When I said 17 days, it looks like I miscalculated. Busses are difficult but I don’t have the time to look for you. See for example see https://www.busbud.com/es/bus-schedules-results/sp3e3n/sp8f3f?outbound_date=2018-05-16&adults=1 for Guingueta d’Aneu to Barcelona. Do not assume anything. Use the Prames guidebook, in Spanish, or the new Cicerone one. Thank you for your valuable advice! Sorry for my delayed reply – got me into planning mode, and I have made certain adjustments (in particular, the direction, as I received my Cicerone guide book and realized it goes west-east). As of now, I’m planning to do the stretch Torla-Ordesa to Benasque (and after that we have booked an Airbnb in that area to do day hikes for the rest of the time). – Is it necessary/advisable to carry a GPS? Or is the path well waymarked on this specific stretch? – I have considered getting a Garmin GPS 64s, however I feel unsure if the free maps (i.e. from Wikiloc, OSM etc.) are OK or if it’s necessary to buy the (expensive!) maps from Garmin. What’s your take on this? – Finding public transportation from Barcelona to Torla (it seems like a puzzle, but I am in contact with Alosa and hope to find a solution soon). Worst case, I can take a train to Huesca, and my question is then: do you know if it is feasible at all to take a taxi the last bit (although quite far)? – Is it necessary to bring crampons and ice ax for this stretch? I have crampons that I can bring, but I don’t own an ice ax and am not experienced using it on my own either, so hoping that’s not necessary. – Do you recommend bringing hiking poles for this stretch? Again, hoping to do without, but if necessary, I’ll bring them. Again, thanks so much for your feedback! The path is well marked on that section, so you don’t really need a GPS. If you do decide to get one you should get the free TopoPirineos map which will fit easily in the 4Gb available. (The graphics on TopoPirineos are better than OSM.) Although the graphics on Garmin maps are even better I don’t think the price is worth it. However, if you have a smartphone you can navigate using the Wikiloc app which is about 5€! In this case you will need to buy a portable battery charger because even in airplane mode the GPS uses a lot of power. As for crampons, when are you going? If it is mid-July you will probably manage without them, but if it is earlier ring up Góriz a few days in advance to see what the conditions are like. Also look at the Góriz webcam. Really crampons are a means of progression; the ice axe is for safety. If you need one you should have the other and find out how to use it. Please give us some feedback on the conditions you encounter. My name is Sam – we are 4 guys that want to hike for the first time ever, means we got zero experience. 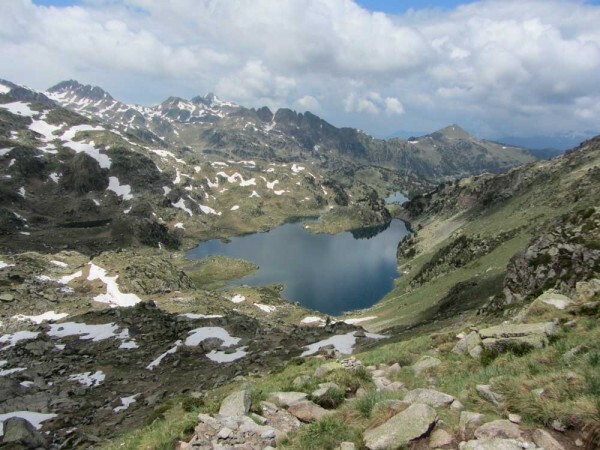 We want to Hike for 5 days at the end of July but not on the route GR11 – we want to Hike around the Aigüestortesi Estany de Sant Maurici Nationalpark. Are there any routes which will be easy to track on? On the other hand, if you don’t usually do much physical exercise perhaps you should consider something with a little less climbing. great website with a lot of useful information, thanks!! I want to go on a 8-day hike on the GR11 this summer (first week of July), my friend and I are both from Switzerland and grew up in the mountains. Which stages of the GR11 would you consider the most beautiful ones and recommend? Are they easy to reach by plane/bus/train? Are they doable in early July or is there a lot of snow? Which point is a good exit place? I am grateful for any tips and advice! 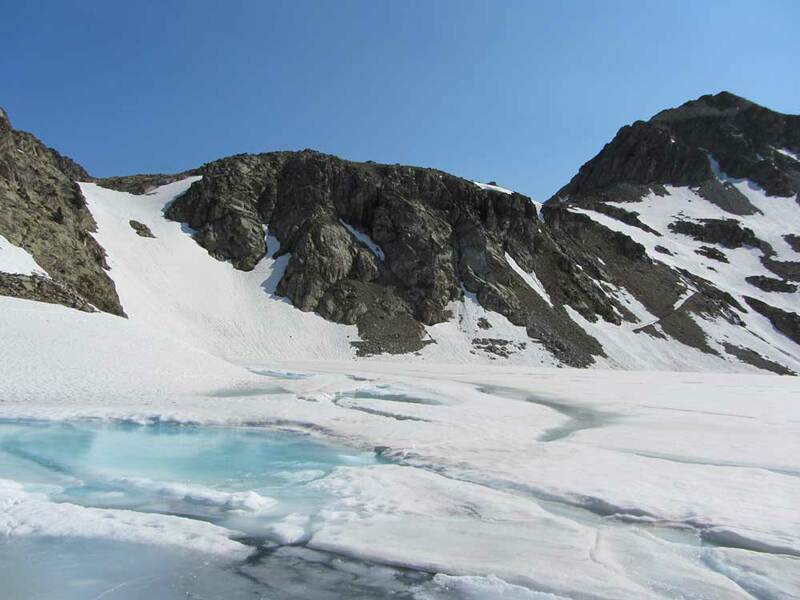 Early this July you are still likely to find snow near high passes. From an access point of view, your best option would be train to St-Jean-Pied-de-Port then walk on the Camino to Auritz to join the GR11 going east. You should get to Candanchú from where you can get a bus and train back. If this is too low for you and you are prepared to deal with snow you could go east from Candanchú towards Bielsa. But if you do this you probably need to be equipped for snow or prepared for deviations. Alternatively walk inland from Hondarribia. Alternatively look at cross-border circuits such as the Sentier de Camille. Firstly, I’d love to thank you for creating such a fantastic online resource and also for taking the time to reply to so so many people over the years. Secondly, I’d love to hear your thoughts about a plan I’m trying to hatch. My wife and I are currently in Barcelona. We have about 3 weeks that we are happy to dedicate to GR11. Initially we thought to start at Torla and head east, however snowfall has made this route impassable without snow equipment. Next idea was to get a bus to Jaca and then get on to the GR11 and head west toward Cape Higuer. I purchased a good map today of the GR11 however all the guidebooks were in Spanish. 1) whether the route from jaca and continuing west is achievable in 2-3 weeks, and whether the route is worth doing- I.e is the scenery interesting and varied and lots of wilderness? 3) we want to get on the trail by Saturday. Is this enough time to book at the refugees? Okay thanks so much, if you have any other tips or advice, I’d love to hear them. Instead of walking from Jaca (Somport) to Cabo Higuer do the inverse. At present there will be too much snow between Somport and Zuriza, and indeed there may still be at the end of May. But at least you will have done a good part of the walk. Stages: Cabo Higuer – Irun – Vera – Elizondo – Sorogain – Auritz – Hiriberri – Ochagavía – Isaba – Zuriza. After here you would probably be best to go on the alternative route to Gabardito – Lizara – Somport. But ask in Zuriza. Yes the countryside is varied but you don’t get into the real mountains until Zuriza. Don’t bother booking ahead at this time of year, but do ring up 2 days in advance. This will give you more flexibility. Jayne & I are thinking about doing the GR11 from Areu to Puigcerda. This is stage 30 to stage 36 for 7 days in early July. We would stay in refugis. What do you think of this plan? Do you have another suggestion? How do we get from Barcelona to Areu? You will probably meet up with snow in two places: after Baiau and before Malniu. So go as late as possible. If you are starting in early July do not plan to go via Comapedrosa because the climb from Baiau is steep and likely to be snow-bound. Take the variant that goes east from the Baiau hut, via the Estany Forcat. By that date you can probably scramble over the big rocks rather than crossing any remaining snow (though it would be much quicker on the snow with crampons/axe). It is possible to avoid the corniche of snow at the Portella de Engorgs by going round the little hill to the south (well-marked path after the first ridge) and then descending the scree down to the lakes. To get to Areu from Barcelona take the train to LLeida and then a taxi. I have used Josep María Llor Bringue who is based in Alins tel 609 357 926. It cost about 120 euros. Otherwise there should be taxis at the station. The ride takes about two hours. Thanks for the quick reply and good info. Would you suggest another 5-7 day trek? I could not find a train to LLeida. Is there another spelling of this town? The other name is Lérida. If you are happy with a lower walk start the GR11 at the Cap de Creus. Alternatively, how about the Senda de Camille? I tried the Senda de Camille on Jayne but she thought it was too much distance. The idea of circular has perked my interest. By the way your info and response time is truly amazing. Provide a great service for all of us. See my page on cross-frontier walks between France and Spain. Myself and partner will be visiting the Pyrenees from Colorado USA for the first week of July. Can you recommend an overnight hiking loop to a refugio based out of Benasques area, preferably 2 days, one night? We are avid skiers/ climbers and regularly hike at altitude to the hut system in Colorado. 3. Refuge du lac de Portillon via the Col Inférieur de Literole (crampons + axe); vertical. Going the other way you could stay at Angel Orús or Estos and then do a bit of the tour du Posets. See free GPS maps on TopoPirineos for routes. But beware, many are not official routes so won’t be signposted. Hope this query doesn’t trouble you too much. I’m planning early for a thru-hike going West to East across the GR11, and my guidebook is disappointing in terms of having enough information to effectively plan this out (which it seems I need to do!) I have a Cicerone guide. I’d be looking to book huts all the way through (if possible) and not camp. I’m not that experienced. Two long Camino’s (both 4 weeks or more) and have done guided treks to Toubkal and Kilimanjaro. This will be a solo trip – 50 days would be ideal – My recent experience is on the Camino, which doesn’t really need planning. This is a different hike though … Or am I over-thinking it? Any links or guidance to help me start to plan would help. This trip will be a year in the making, as part of my 50th birthday year celebrations! The first thing is to make sure you have the latest Cicerone guide, because a new one has come out recently and the route has been changed. The Cicerone guide is good; you can also buy the Prames guide in Spanish to complement it. But you won’t find anything better. In any case planning the GR11 is going to be a lot of work. For me planning and knowing what to expect is part of the pleasure. Plan on walking 6-8 hours per day (not more) with at least one day rest a week. But the most important thing is DO NOT BOOK ALL THE REFUGES IN ADVANCE. If you do this, the trail will become a slog, not a pleasure. You will find yourself walking in thunderstroms. If you ring up 2-3 days in advance you will be OK, except for Góriz and some refuges in the Aigüestortes i Estany de Sant Maurici National Park which may be more difficult. (In the National Park there are options; Góriz is virtually unavoidable). Look at the free huts as well as refuges. Above all have a Plan B for every day. What happens if the weather is bad and I can only walk a couple of hours? What if I am tired but don’t need a whole day’s rest? Consider going off-GR11 if it is more convenient. You might also care to have a look at my book on walking the Senda. (It’s not a guidebook but will give you an idea of the conditions.) By the way, if you plan carefully you don’t need a tent. I’ve just seen photos of the Pic d’Estats (near the Vallferrera refuge). 6-7m of snow near summit! Crampons and ice axe obligatory. See Facebook feed on left. Daniel is running the GR11 at present. he started in Andorra, at Encamp on 14 June if I’ve calculated correctly. Lots of snow at the Port de Baiau see https://www.facebook.com/danielisrunning/ but he had crampons. I am currently doing the last bit of planning of an upcoming hike of part of the GR11. Not having enough time to do the entire route, we have opted for a couple of weeks instead. We are starting our hike in Canfranc and finishing it off in either Aneto or Vielha to take the bus back to Barcelona in time for our flight home. I have a question regarding this, if possible, we would, of course, prefer to hike trails rather than roads – do you know if either Aneto or Vielha is connected to the GR11 by trail, and if so approximately where this trail leaves the GR11? I am having a hard time finding anything on this via the internet (or in the guidebook, as this is of course geared towards walking the entire route). Thank you for an informative site! There is a path that follows the old road used before the tunnel was built, now no more than a track from Conangles to Vielha. Alternatively you can take the bus which runs round the Aiguestortes National Park. It stops opposite the Conangles refuge. Or you can walk to the Restanca refuge and then down the valley to the north to catch the bus at Arties. could you help me with some suggestions concerning GR 11 starting and ending point for 6 days hike? Hike willbe at the end of september. I feel very confused about where we can get on track and where is possible to leave so that there is sufficient transport options back to Barcelona. We made last year part of GR20 in Corsica, so fitness shouldnt be big problem. Higher parts with more astonishing views would be preferable only if there are reasonable trasnport connections. Appriciating very much your help! Thanks so much for all the info here, particularly in all your great answers to everyone’s questions. I’m about to set off on a 22-day walk from Sallent de Gallego to Andorra, and was will be staying in hostels and huts along the way. How cold does it get at night in the huts, and do you think I will be comfortable in a silk bag with an emergency blanket and wearing clothes? I’m really keen to avoid taking a full sleeping bag as my bag weighs almost a kilo. Also, do you think I will be OK to just ring ahead the day before when booking hostels? I have pre-booked hostels at Respomuso, Bujaruelo and Goríz, but was intending to book the rest as I walk. Final small question – in your packing list you have 4 guides. What’s the logic behind that? Thanks again for all the advice you’ve given! Sorry not to reply sooner but I’ve been on the Porta del Cel. See this page for temperatures in the Pyrenees. A silk bag would be fine for staffed hostels; huts might be a bit cold but could be worth the risk as long as you have plenty of clothing. Yes just ring the day before. The four guides I mention in the packing list are the 4 FFRP guides that cover the whole length of the GR10. It is still hot in the Pyrenees at present. My name is Ben. I’m flying into Barcelona from the states on November 21st and will have 8 days to do as many day hikes or out and back overnights as possible before I fly back home. I’ve thru hike the Appalachian Trail twice and have some alpine experience from living in CO and prefer stealth camping. I’m curious as to what area you would advise me to go, whether I should get a rental car and if summits will be reachable that time of year. It has already snowed so at that time of year there will be snow on the peaks. Difficult to say how accessible they will be. You can get to a few areas with busses/trains from Barcelona, eg Llança (on GR11), la Joquera, Puigcerda, Espot/Conangles, Benasque and Canfranc but a car would make it so much easier. 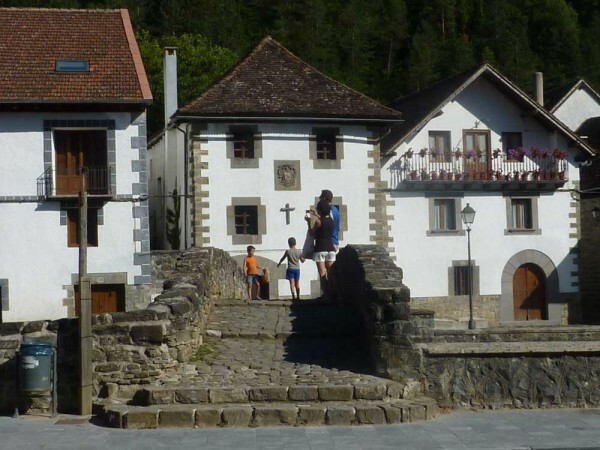 See my list of refuges and hostels in the Pyrenees accessible by car. Wild camping may not be a good option with temperatures at -10 degrees C in the night at 2000m. You will need to check which hostels are open, though there are also free huts in the Pyrenees (sometimes no more than four walls and a roof. See this page for snow reports. – very informative website ..
– Which sections of the GR 11 u will recommend ? We intend to start and end at the points where there’s easy accessibility of public transport to n from Madrid .We intend to stay in hostels / BB / Refugio’s , we dun intend to bring a tent .. we r fairly experienced hikers but are not as fit as before .. we prefer more secluded trails with BB hostels to check in at end of day.. we dun intend to bring our ice axe n crampons so I Guess we will avoid the high route .. we intend to engage a “self guided “ tour to minimise our pack weight.. Unfortunately the GR11 is not very accessible in April – too much snow. Probably your best course would be to walk East from Hondarribia, possibly crossing over to St-Jean-Pied-de-Port at Auritz and coming back on the GR10. Thank you for sharing so many useful information. Me and my boyfriend would like to hike 2-3 days in GR11 starting from San Sebastian. Do you have any suggestions? At that time of year you need to be low down because of the snow. Do not go beyond Isaba. You could simply start in Irun. (There is a casa rural in Tellegi, by the way.) After that you can easily walk to Bera and get a bus back. Or continue another day and get a bus back from Elizondo (very long day). The nicest walking is after Auritz but then you have the problem of getting back to the start. I hope this helps. At that time of year you need to be low down. See Snow reports for walkers in the Pyrenees. So your best option would be to start at the coast and walk inland. You are unliekly to get past Ulldeter without crampons. One idea would be to cross over to the GR10 in France (La Vajol to Las Illas) and then head back to the coast and train station at Banyuls. Alternatively you might like to consider the northern part of the GR92 Catalan coastal path. We are preparing for our hike for the GR11 this Summer and have tried to get in contact with a mountaineering club for safety and discount reasons but have so far not received any answer. Can you recommend a club that covers the whole of GR11? If you live in Denmark, as I suppose from your IP address, contact a Danish walking club and see if they have reciprochal arrangements with Spanish clubs. This could be useful for discount reasons. However, even if you get in touch with a Spanish club, I don’t think they will be any help on safety. It isn’t their job. Thank you so much for preparing such a useful guide to the GR11. A friend and I want to do a hike in the Pyrenees this summer from late July: we will have about two weeks to spare. We are interested in camping, not staying in the refuges, and are fit and experienced walkers. Last summer we did the GR20 in Corsica so we are looking for something as strenuous and exciting as that! Do you have any recommendations of where would be good to start and finish our hike? We love mountains so would like to get as much altitude in as possible! We are also thinking about the GR10 if you have any advice on that – from what I can see, the GR11 provides more beautiful mountain scenery and strenuous walking, but would appreciate your thoughts! Have a look at this page, which details cross-border routes in the Pyrenees. You could use these, the GR10 and the GR11 to design a route in the central area. 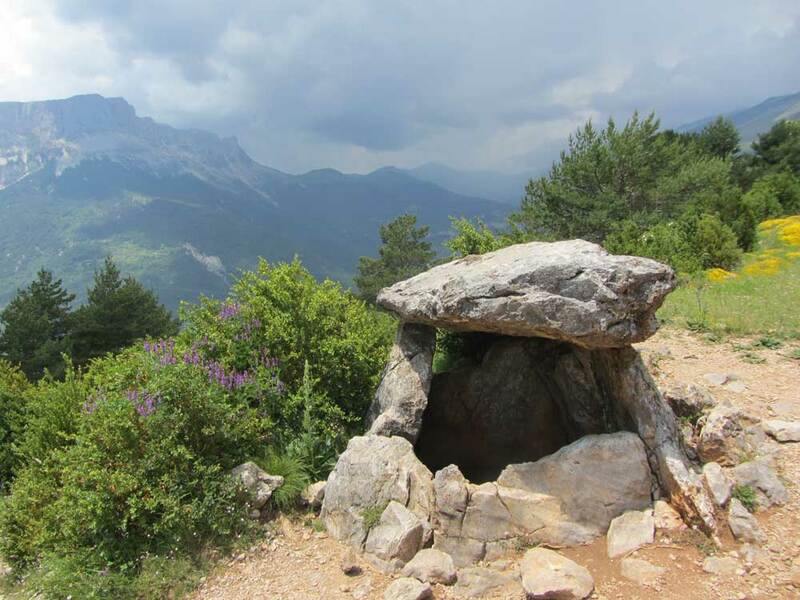 By the way, you may find that this list of free huts in the Pyrenees is useful, even if you are camping, in case it rains heavily. For advice on walking the GR10 see here.